Kurdistan Region President Masoud Barzani visited the Iraqi Kurdistan Parliament yesterday, requesting the Parliament to immediately undertake the task of creating an independent electoral commission for the Region, and to begin preparations for holding a referendum for the people of Kurdistan to decide their future. The President stated that the wrong policies of the Iraqi government and the collapse of the Iraqi Army have caused the current security crisis in the governorates of Anbar, Ninewa, Salahaddin, and Diyala. 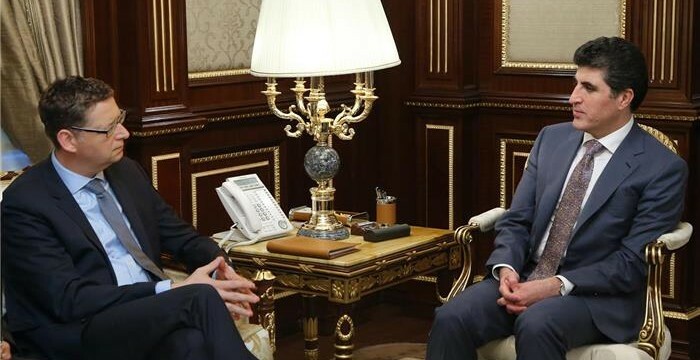 He said that four days prior to the events in Mosul the KRG offered to cooperate with Baghdad to confront the terrorist groups, but this was rejected by Baghdad.